When the Colorado Avalanche signed Nail Yakupov to a one-year, $875k deal in the offseason, it looked like a great opportunity for both parties. Colorado was getting a player with raw talent for a minimal cap hit and Yakupov was getting the opportunity to start over after a dismal season with the St. Louis Blues. 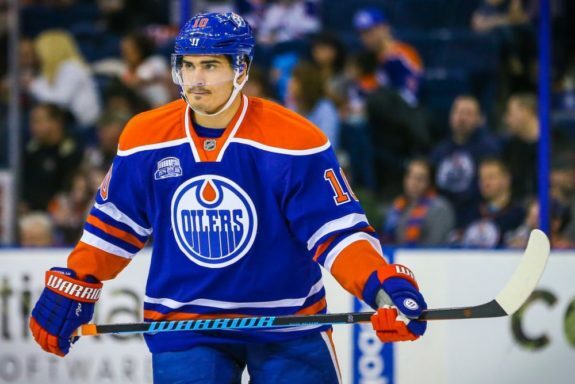 Could this be a breakout year for Yakupov in Denver? Yakupov was drafted first overall by the Edmonton Oilers in the 2012 NHL Draft, a move that contradicted the wishes of some members of the team’s front office. Like so many top draft picks, Yakupov entered the league to lofty expectations. Many predicted that he would be the next marquee player in the league. He had a cannon of a one-timer, great speed on the outside, and the ability to get a shot off quickly under pressure. All indications pointed to him being a key piece to a young Oilers’ core that could yield a dynasty. Fast forward four years. Middling numbers, disagreements with management, inconsistent line pairings, and a rotating coaching staff led to underwhelming returns on the Yakupov investment. Don Cherry had a field day attacking him for his goal celebrations, his comments on Canadians playing “dirty”, and his check on Kyle Chipchura. In a city that values a certain modest personality, Yakupov simply wasn’t the right guy; a winger with boundless energy on a team that desperately needed discipline and hockey IQ. Amidst floundering point totals that never reached the statistical heights of his rookie, lockout-shortened, season, Yakupov requested a trade in February of 2016, but a deal wasn’t completed until the offseason. He was sent to the Blues for prospect Zach Pochiro and a conditional third-round draft pick. 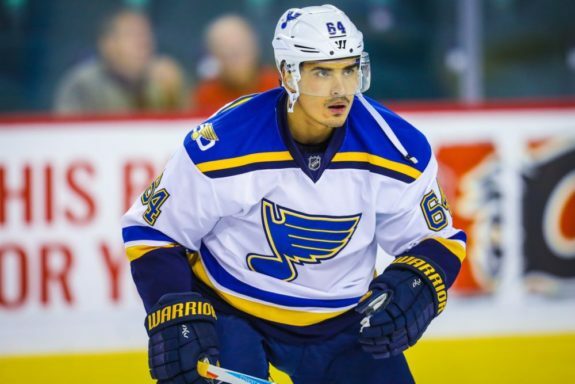 The deal stipulated that the pick would become a second-rounder if Yakupov could score 15 goals for the Blues during the 2016-17 campaign. While he produced effectively early in the season, chemistry issues continued to haunt him. The Oilers were in the process of a patient rebuild, where the Blues iced a strong team poised for an immediate deep playoff run. Yakupov quickly fell to the third and fourth lines, where he continued to struggle. Diminished ice time turned into consistent healthy scratches, and a disappointing season was punctuated early with a season-ending knee injury in March. He ended the 2016-17 season with three goals and six assists in 40 games. After his abysmal season in St. Louis, the Blues declined to submit a qualifying offer, making him an unrestricted free agent and he signed with the Avalanche prior to training camp. In the first seven games of this season, he has already matched last year’s goal total, playing with the energy and creativity the hockey world expected of him on draft day. He is creating chances with his speed and puck skills for his linemates, Matt Duchene and Alexander Kerfoot. After five years of being shuffled through the order, Nail finally has a consistent forward line with whom he can build chemistry. Avalanche fans have every reason to be optimistic about this season. Oilers fans unfairly saddled Yakupov with lofty expectations for a club in transition, and the Blues relegated him to the fourth line, where he never had a chance to develop. In Colorado, Nail will be a consistent second-line winger, playing alongside two young, speedy players in a system that rewards speed and pressure. Expectations for Yakupov’s production are low. He isn’t trying to justify a large contract, and nobody is expecting the Avalanche to be any kind of contender anytime soon. One thing that has stood out early this season: he has the freedom to just go out and play. He’s shooting the puck a lot, tied for fourth on the team with 17 shots on goal. He’s getting power play opportunities and is afforded the freedom and creativity that best suit his playing style. 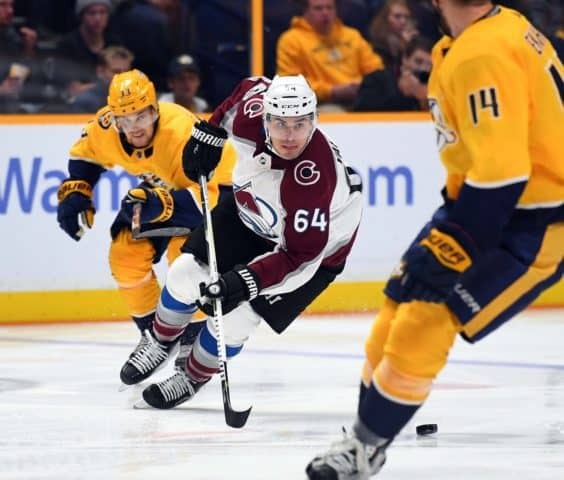 Rather than trying to find a way to make Yakupov fit into a system, the Avalanche have given him the freedom to play his own game. Colorado just might be the perfect fit for him to finally flourish in the NHL.